Reverse Osmosis commonly known as RO is nothing but a deionizing process that helps remove the unnecessary and unwanted solids from the water. 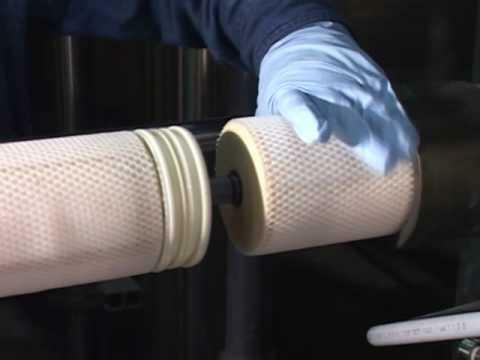 The process is all about purification and filtering the water, for which they make use of filtration, which is also known as the semi-permeable membrane process. If you are not quite aware of what it does, look up for all the necessary information on this space as it caters to the entire process of this treatment. 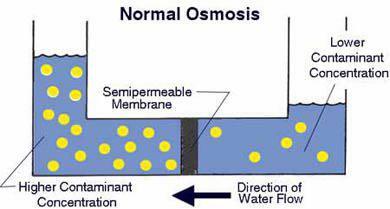 Before getting on to the Reverse Osmosis process, let us get a basic understanding of the natural process known as Osmosis. This natural process is a vital process where the weaker saline solution ends up migrating to a stronger saline solution. For instance, the procedure of our kidneys absorbing water coming from our blood, the same theory works here as well. Whenever there is a higher concentration, the solution will migrate from the lower side to the higher side. Reverse Osmosis is nothing but the reverse process of Osmosis. Given that the osmosis process is all about naturally catering to the saline solution, but in the case of Reverse Osmosis, you need to apply external energy to lead the process. 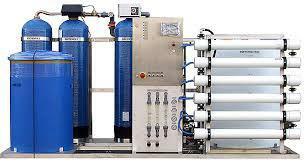 The Reverse Osmosis will make use of semi-permeable membrane to pass through the water molecules and with the added pressure and energy, the deionizing of the saline solution begins and you get pure water. What Principle does Reverse Osmosis Work on? As stated earlier, Reverse Osmosis makes use of external and additional energy because the natural energy of the Osmosis procedure is not enough. The higher pressure exerted using the pump increases the pressure on salt side and forces the water to go through the semi-permeable membrane. When this happens, the water leaves behind almost 95% percent of dissolved salts at the bottom, going into the reject stream. Pressure is usually high but it all depends on the salt concentration of the water, if the concentration in the feed water is more, then you need to apply more pressure. If you are wondering what is the reject stream, well, it is nothing but a section in the procedure where the rejected water or so to say water that didn’t pass the membrane goes in that stream. Truly speaking, the division of good water and reject water makes the process easier. The deionized water is known as permeate water, and this is what goes through the follow up procedures. What Does this Process Remove from the Water? It removes almost 95% of dissolved salts, colloids, bacteria, particles, pyrogens etc. The RO running system will straight off reject contaminants that weigh more than 200 molecular weight. It is vital to mention that RO system does not get rid of gases like CO2 because there are not heavily charged and not too much in molecular weight. The operation of RO system caters to its performance and its design considerations. It plays a vital role in displaying pressure, quality and flow. Accuracy is achieved when the following parameters operate at a minimum. 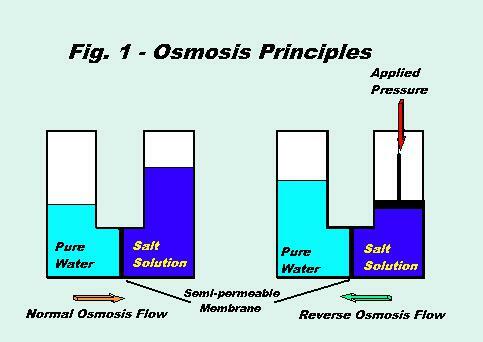 Reverse Osmosis as a process usually works in two stages. Also, when we speak of stage, it shouldn’t be mistaken with pass, because when the water passes through it does not means it goes through the stage. The two stages work effectively and play their part in generating filtered water. 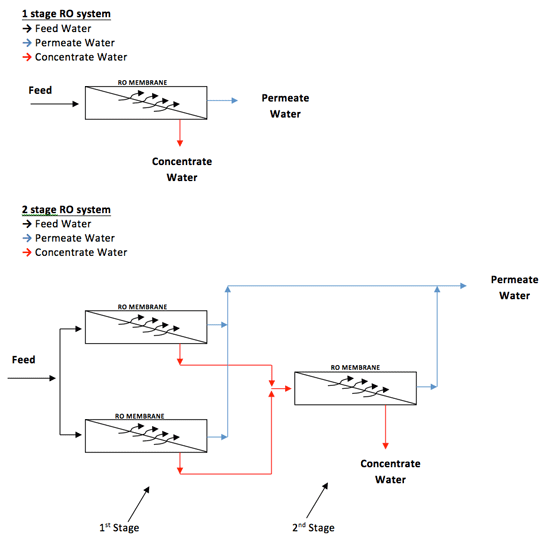 Stage 1 is very simple where the feed water goes through the stream, enters from there and exists as either permeate water or simply known as concentrated water. In stage 2, the reject from stage 1 becomes feed water for stage 2. The concentrated water is collected from stage 1, it combines with the permeate water from stage 2 and to gain complete recovery, additional systems are added. When the system cannot perform its duty properly where in the stages are not operating as it should, in that case, the concentrate recycle system comes in play. It uses the concentrate stream to push back to the first stage for better and effective recovery. 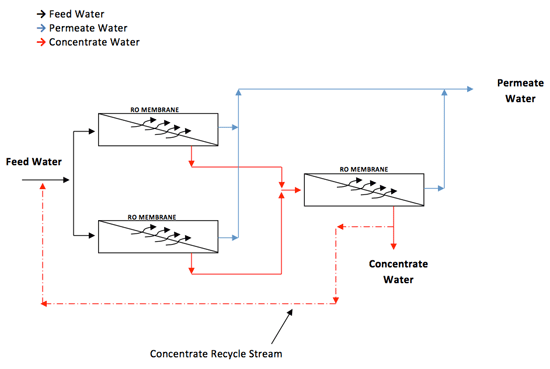 What is Reverse Osmosis Pretreatment? Pretreatment is nothing but ensuring if the mechanical as well as chemical treatments are fine and in accordance with the RO requirements. The proper functioning of such systems ensure prevention of scaling, earlier and cost premature of the membrane, fouling, membrane failure and cleaning related issues. 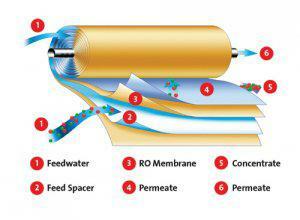 The membranes in this system play a vital role and you ought to involve in periodic cleaning to increase its longevity. The cleaning should be done at least 1 to 4 times in a year, of course, the number depends on the quality of feed water. In cases where the pressure drops and salt passage increases, then it becomes vital to clean the membrane. You can clean it while it is attached or remove it and clean it off site. 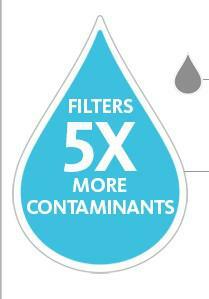 Off-site membrane cleaning is considered as more effective and yields good results. The difference between the two is not very difficult to understand. 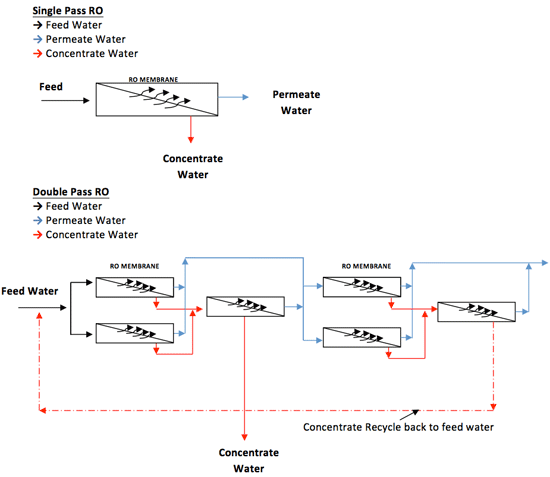 The single pass RO water system works on a simple principle of moving through one pass and converting to feed water. However, in case of double pass RO system, it goes through the first pass converts into feed water and then through the second pass and ends up producing more of permeate, essentially going through not one but two best reverse osmosis systems. Reverse Osmosis is effective and very useful technology to produce water that is harmless and suitable to all kinds of people. The deionizing process allows the water to leave behind the unwanted substances and convert the water into its purest form. For proper treatment of water, RO systems need monitoring, good maintenance and proper cleaning from time to time. With correct usage, it is bound to last with you for many years without displaying a single sign of worry.